It is defined as pathologic inflammation of the pancreas. 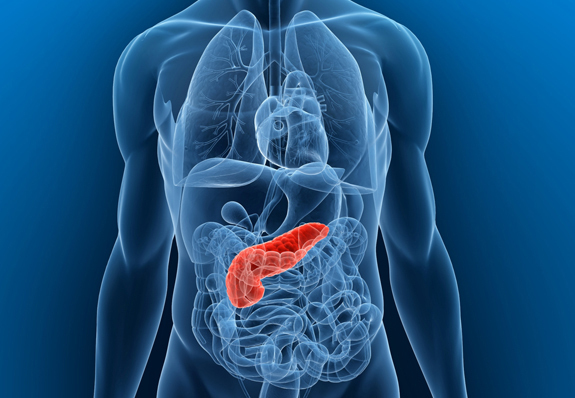 Pancreas resides behind the stomach and it secretes enzymes that help you digest food and also regulates how the body manages glucose. Acute Pancreatitis: The most common cause of acute pancreatitis is gallstones and its onset is sometimes very sudden. Chronic Pancreatitis: It is an inflammation of the pancreas that occurs constantly over the long period. It can damage pancreas permanently. It occurs when digestive enzymes become activated while still in the pancreas, irritating the cells of your pancreas and causing inflammation. The person gets hospitalized and fluids and nutrition are given intravenously or by the nasogastric feeding tube. A low-fat healthy diet plays a major role in recovering from pancreatitis.